Asmara is one of the most amazing cities I’ve ever been to. The capital of Eritrea, a country bordering Ethiopia and the Sudan on the Horn of Africa, Asmara has a wonderful architectural history. It was constructed almost entirely between 1936 and 1941 by Italian modernist architects. Eritrea had been part of the Italian empire in North Africa since the late 19th century when other European powers such as Britain and France had turned their attention to colonising that part of the world. Without doubt this is one of the best buildings in Asmara. It is a former Villa now used as an office. Built around 1938 it could easily be placed in any of the world’s finest cities. Two or three storeys with a couple of balconies and what I presume are roof terraces. 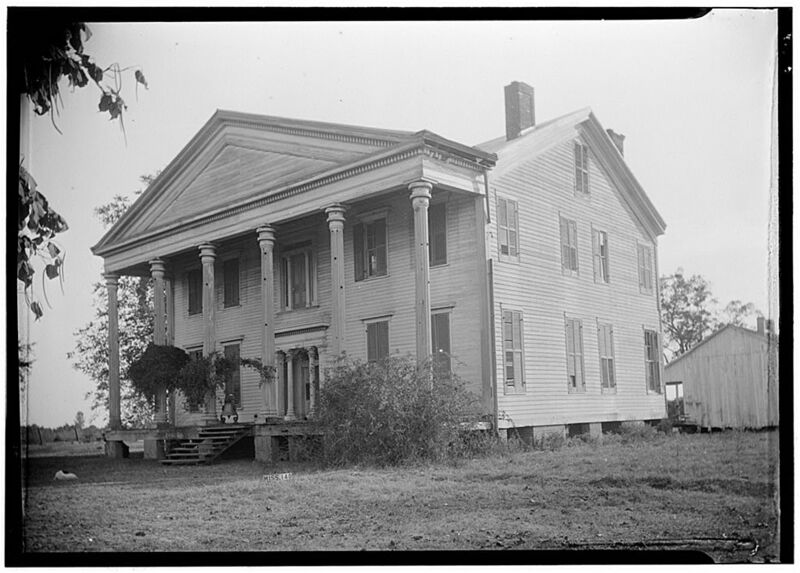 The main entrance and probably a stairway, are located in a semi-circular prow jutting from the front of the building and painted white. I could live here! Actually I wish I could afford to live in something anywhere near as good as this. 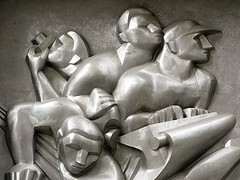 The Rockefeller Center in midtown New York is a fantastic place to explore and admire the art deco details. There are over 20 buildings making up the whole centre and it seems each doorway has a decorative relief or panel depicting the intended use of the building. A case in point is the huge stainless steel panel above the entrance of the Associated Press Building called News. The panel depicts workers involved in activities related to producing newspapers and magazines. It was created by Isamu Noguchi and dates from 1938-40. The whole panel is at least 5 metres tall with my picture only showing the top half. I love the photographer in the top left and the effect I’ve achieved by zooming in on the detail of the sculpture which I think sharpens the overall effect of Noguchi’s work. Clicking on the pic will open a new flickr window to so you can view a bigger version. The Sun Theatre is my favourite cinema. While not the closest to where I live, it is not so far out of the way that I feel put out to go there. 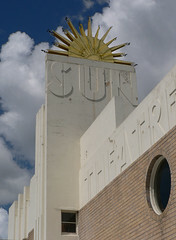 Nestled at the top end of Ballarat Street in Yarraville, an inner western suburb of Melbourne, The Sun is literally a beacon for the area. So why do I like the Sun? 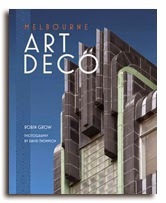 For a start it is Art Deco. 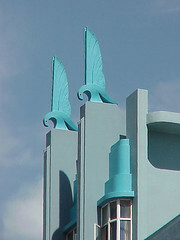 It opened in 1938 and displays several telegrams in the foyer from various Hollywood stars celebrating the first night. But by the 1990s, the building had been derelict for about 20 years and was looking in very bad shape. That was the first time I saw it. Within a few years part of the building had been restored and a film society operated at weekends. Blankets were even provided through the cool Melbourne winter to help keep patrons warm in the unheated auditorium. Since those early days, the whole building has been restored and turned into a multiplex. I can feel you gasping in horror but believe me, this is the best multiplex you are ever likely to see. The foyer looks like a proper cinema foyer, perhaps not as it would have been in the 1930s but the terrazzo floor has been resurrected and the ticket box and candy bar have a very sympathetic deco feel. 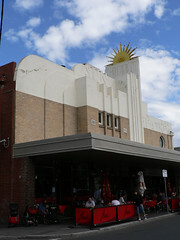 In 2003 four cinemas were opened in the original Sun building. They were named after the other cinemas that used to be in neighbouring suburbs but have long since gone. The Barkly occupies the original dress circle and features curving brown stripes which seem to continue onto the curtains. By the way, the curtains in all four cinemas are brilliant because the people that own it also make cinema curtains. The Trocadero has been restored so that some of the original art deco plasterwork has been retained and new pieces had been created from moulds of the remaining plaster. The fourth cinema in the building is The Lyric which is intimate with a private bar area making it perfect for that special party. In 2006, two further cnemas were opened. La Scala offers luxury film viewing from beautiful leather couches and seats and is named after an Italian cinema which operated from Barkly St, Footscray. The final cinema is called The Davis which honours Brian Davis who was a major benefactor to the restored Sun. He was a projectionist there in the 1950s and many of the features in new cinemas such as the telegrams in the foyer, the original cinema seats and the fantastic Wurlitzer organ were donated by him. As great as the interior has been restored, my favourite part of the building in the neon sun on the roof. Separate rays light up to complete the semi-circular sunburst. Anytime I cross the Yarra River on the Westgate Bridge after dark, I look for that glowing sun and I feel good. I feel everyone on the bridge should be looking to Yarraville to make sure The Sun is still shining. At street level, Broadwindsor in Broad Street, Durban, South Africa could be any deco apartment block. The name is boldly displayed above the entrance while two concrete pillars cutting through the horizontal bands of windows lead your eye up the façade to the roofline. And what a roofline! 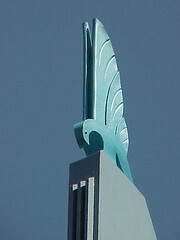 Sitting atop each pillar is a stylised bird, Broadwindsor’s signature, elevating it to more than just another apartment block. Broadwindsor designed by architects WC Moffat & Hirst was built in 1934 and although the original beautifully curved side windows have been replaced by the somewhat squared-off modern versions the impact of the overall design is still striking. The birds on top are amazing. I love the curve of the body combined with the wings standing straight, pointing to the sky. The close up view shows the feathering detail and black eyes which bring the sculptures to life. The two-tone blue colour scheme is a bit jarring but the more I think about it the more I think it works under the deep blue African skies. Durban is a seaside town so like Miami it can afford to use brighter colours for some of its buildings but Miami is a creature of its own making and I am wary of other places copying the style and diluting their own contribution to Art Deco heritage.